Upcoming class dates are always announced first in our newsletter. Sign up for our newsletter here. Have you ever looked at a cheese shop’s selection of cheddars and wondered what the differences were? Have you ever heard us call a cheese “alpine style” and wondered exactly what we meant by that? 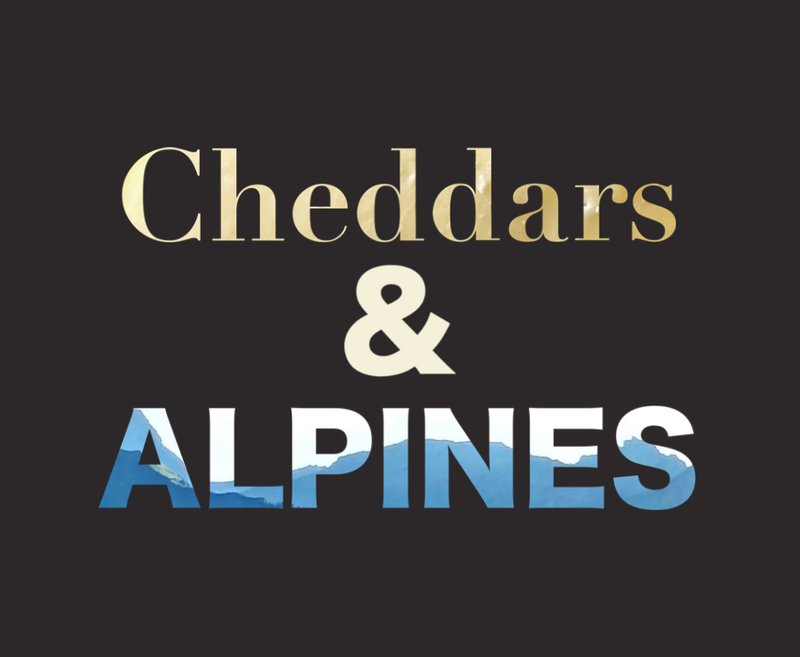 Cheddars and alpines both offer incredible diversity of flavor, and include some of the world’s most extraordinary cheeses. Sometimes cheddars and alpines can be pigeonholed as cooking cheeses – but once you taste and learn about these, we think you’ll agree that they belong on even the most exclusive cheese plate. In this introductory level class we’ll taste 4 examples of cheddar and 4 examples of alpines and talk about what makes each of them special. All tickets are nonrefundable. Tickets purchased for this class date cannot be exchanged for other class dates. We recommend purchasing tickets for your entire group in one transaction to ensure that everyone in your group gets a spot. Length of classes vary based on group participation, but generally run about an hour and a half. If you have food allergies, please speak with us before you purchase your ticket to discuss whether accommodations can be made. We are not able to serve alcoholic beverages in the shop, and unfortunately we cannot allow guests to bring their own alcoholic beverages into the store. Please call us before you purchase your tickets if you have any questions. Classes on more cheesy subjects are in development! Sign up for our newsletter to be the first to hear about them.